How long does it take to switch energy companies? It’s a lot simpler to change electricity and gas companies than a lot of people might think. 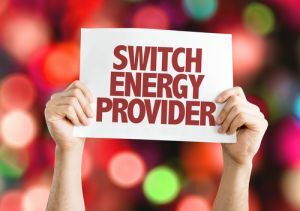 To switch, simply compare your options, then call or visit your preferred energy retailer’s website to sign up, and they usually take care of the rest – that’s it, you’re all done! However, it’s important to know that you usually won’t be transferred to your new energy company straight away. In fact, it could take weeks, or even months, before your new retailer takes over your account. In this article, Canstar Blue explains why this is, how long it takes to change energy companies, and what you can do to hasten the switch. How long does it take for the energy switch to happen? After you’ve switched to a new electricity or gas company, you’ll require your meter to be read one final time by the old retailer before your new retailer can take over your account. This is because your old retailer will need the latest meter reading to provide you with a final settlement bill for power used. Most customers have their meter read once every three months, with the exact dates selected by your energy retailer. This means that you could be waiting up to three months after switching retailers for the change to take effect. 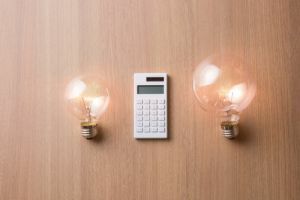 As an example, if you switch your electricity retailer in April, but your next meter read isn’t scheduled until June, you would continue to be charged by your old retailer for another two months until the June meter read. After your final meter read, the previous retailer will send you a final bill for the previous quarter, however all electricity and gas usage since your previous meter read is charged by your new retailer. If you’re signed up to monthly billing and you have a smart meter, then your meter may be read every month. If this is the case, you will be able to switch retailers faster. If you are on monthly billing but you have an analogue meter, then your meter is still only read every three months, with the bill paid in three instalments. This means you could be paying estimated bills. How do I find out when my next meter reading will be? You can find the date of your next meter reading on your most recent electricity or gas bill. Most bills include a section on the last page that provides a detailed breakdown of the charges. This part should also detail your next meter reading date and when you can expect your next bill. What is a special meter read? 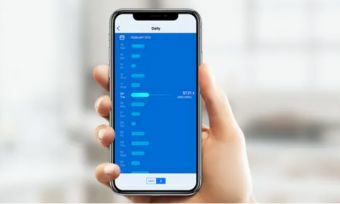 If you have an analogue meter and don’t want to wait for your next scheduled meter reading to switch energy retailers, then you might be able to organise a special meter read with your retailer. For a fee, a technician from your retailer can attend your property outside the normal billing cycle to complete the final meter read. Can I submit my own meter read? Energy customers are allowed to submit their own meter reads to their retailer for billing in certain circumstances. However, if you are switching retailers, a representative from your energy company must come out and inspect the meter themselves. If the meter reader cannot access your meter, then an alternative read date may be arranged, however you won’t be able to submit your own final meter read. When is the best time to switch retailers? If you want to quickly and smoothly switch electricity or gas companies, try to line up the move with your next meter read. Around a week before your meter is due to be read, contact your new retailer and let them know that you want to switch. This gives enough notice to your previous energy company, all the while ensuring that you’re not stuck with your old deal for longer than you want. What if I’m moving house? Moving house is a good excuse to switch retailers. To do this, you will need to contact your old retailer and give them at least three days’ notice that you want to end your contract. 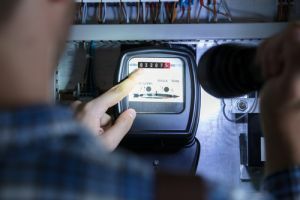 The company will send someone to your property to complete a final meter read, which may incur a special meter read fee if the reading is off-cycle. You will then receive your final bill for that property. You will commence a new billing cycle once you sign up to another retailer at the new house. Which retailer should I sign up to? Now that you know a little bit more about switching retailers and how long it takes, why not take the time to shop around for a better deal that could save you money. Check out what’s on offer from some of Australia’s leading energy companies using Canstar Blue’s comparison tool and customer satisfaction star ratings via the link below.